The mesmerizing and magnificent coastal line of the central Vietnam nowadays definitely leave a masterpiece memory for any visitor had ever set their foot here. From the 2nd to 19th century, this area used to be the territory of an ancient Kingdom – the Champa Kingdom. The culture and era of this relic Kingdom were shaped by Hinduism, adopted from India since early in its history, for centuries. 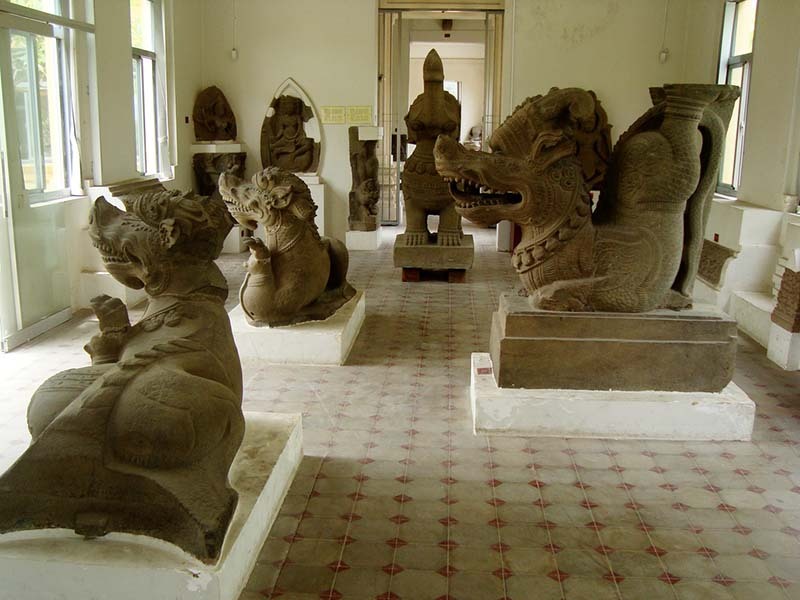 Nowadays, visiting Cham museum Danang you can find many Cham Hindu statues and red brick temples that reflect the unique architecture as the remained glory of this civilization of Champa Kingdom. 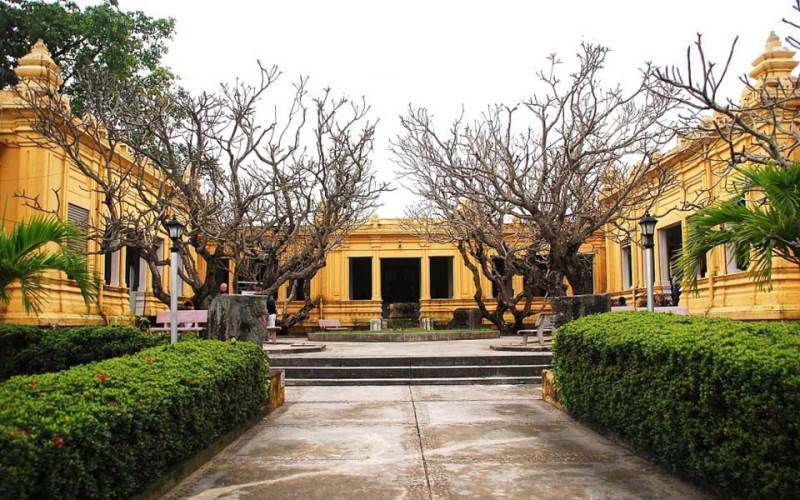 Located in Hai Chau District, Da Nang, nearby the harmony Han river, Cham Museum Da Nang was first proposed in 1902 by Henri Parmentier, a French archaeology, and reportedly founded in 1915. However, until 1991, its first building was opened and designed by two French architects, M. Deleval and M. Auclair. This building was decorated with some traditional Cham in the composition, altogether with the French Colonial architecture, turned it into a perfect location to be the exhibition site of many precious Champa artifacts. After expanded twice in the mid-1930s and 2002, the Museum of Cham Sculpture nowadays not only space for presenting but also works as a venue for storage, a library, a restoration workshop and offices for staff. 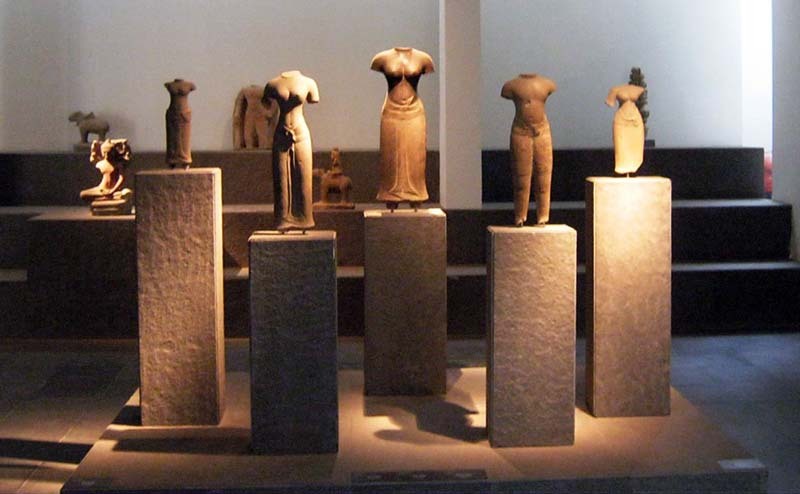 Cham museum Danang is directly affiliated with the city Department of Culture, Sport, and Tourism. 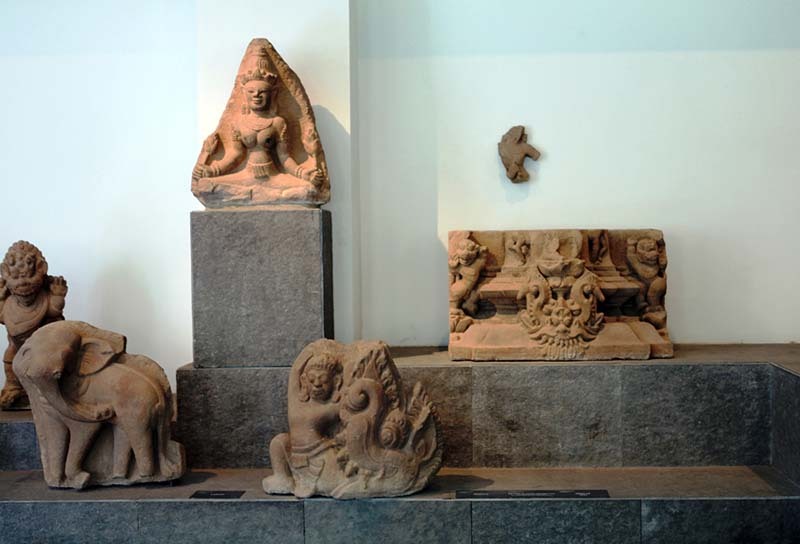 Compare to many museums throughout Vietnam and all over the world, Cham museum seems to be very small and empty in term of size and a number of relics it keeps within. Don’t let that humble appearance lie to you, displaying more than 400 historical pieces includes altars, lingas, garudas, apsaras and images of Hinduism Gods and Goddesses like Shiva, Brahma and Vishnu… this place is truly a treasure since it’s the world’s largest collection of Cham cultural artifacts, which is dating from 5th to 15th centuries. These relics were collected from many places and you will find ten rooms called by the name of these locations where they were discovered such as Dong Duong, Khuong My, My Son, Tra Kieu and many other archeologist sizes in Vietnam. Cham museum Danang is also well documented in three languages Vietnamese-English-French. Any visitor comes here will find this place is charming and mesmerizing while making their steps go from rooms to rooms, listen and observe the remained heirlooms tell their story of a long-forgotten glorious kingdom. 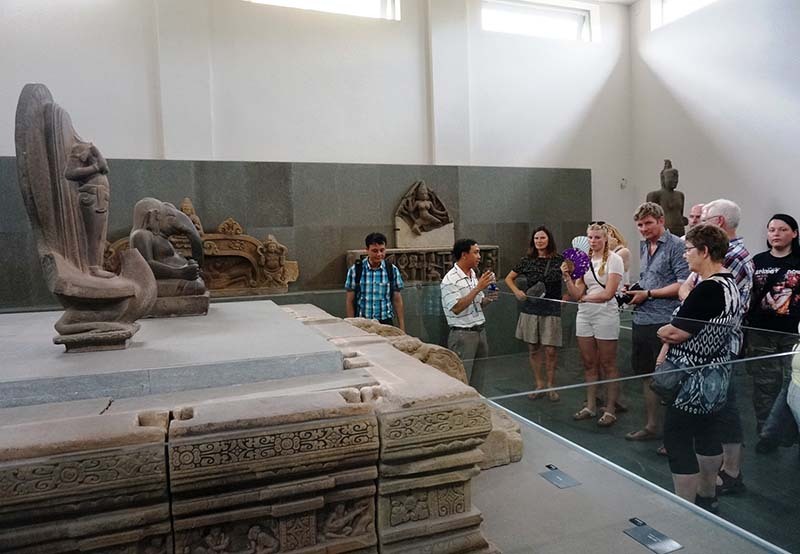 Cham museum Da Nang opens daily from 7am to 5:30pm. 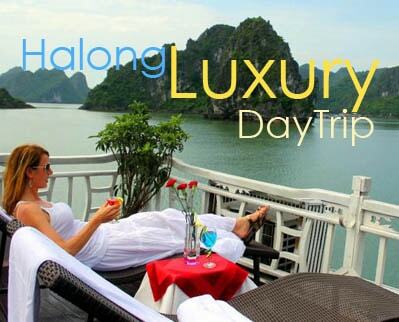 Admission is VND 40,000 (~USD2). Budget 1 to 1.5 hours for a leisurely visit.